This is pleasurable reading. No Failure to Listen! Obama’s daughters have been given a stern warning about tattoos from their father, according to reports. 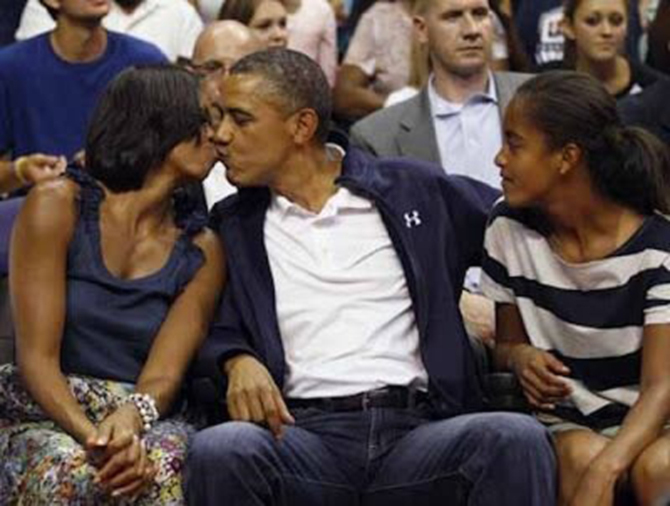 The president has warned his daughters, Malia, 14, and Sasha, 11, that if they dare get any tattoos then he and their mother, First Lady Michelle Obama, would also get matching tattoos on the same places on their bodies. President Obama explained in an interview with NBC’s Today Show, that he hoped the threat of an uncool “family tattoo” would completely put off his daughters from taking to inking their bodies during their teenage years. To push home his threat, Obama also explained that he had told his daughters that he and their mother would show off their matching tattoos on YouTube to the world to ensure absolute embarrassment for them if they were to rebel. In a previous interview with a local TV station, Michelle Obama made the comment and then quickly corrected herself. However, a number of publications have jumped on the comments wondering if there was any deeper meaning behind them. But President Obama simply called his wife’s comments a slip of the tongue, and that there was nothing worrying about it. 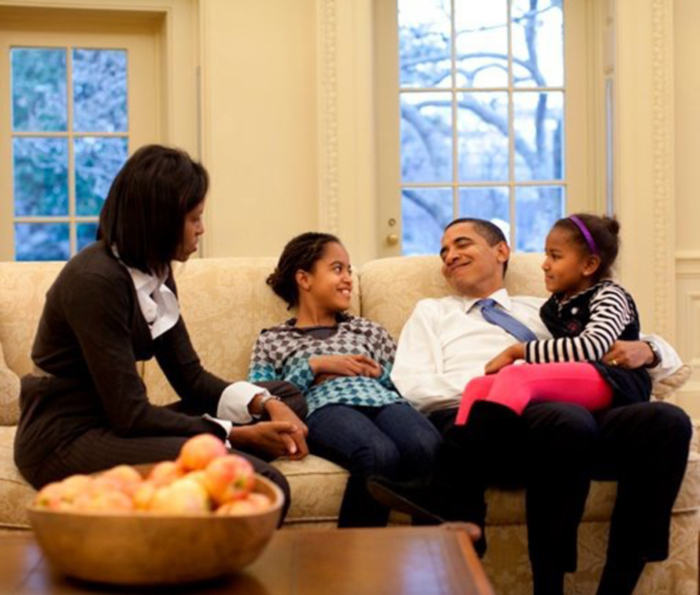 He added that when he has gone through extremely busy periods, such as running his election and reelection campaigns, he was working so hard that Michelle had been left to both work herself and look after their daughters – perhaps making her feel at times like she was a single mother. 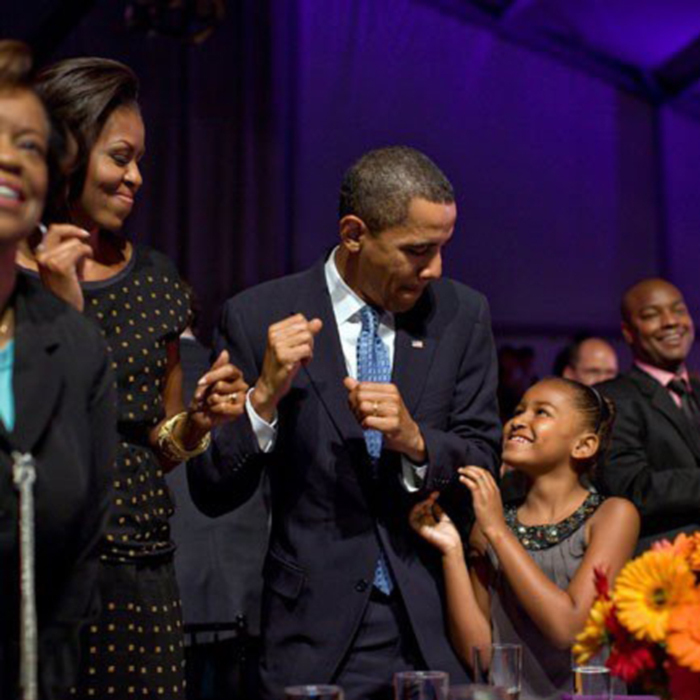 Meanwhile, the Obamas has been roundly praised for being able to balance their extremely busy agendas in the White House while raising Malia and Sasha. The First Daughters are the first teenagers to be in the White House since Former President Bill Clinton’s daughter, Chelsea Clinton. Chelsea was just 12 years old when Bill Clinton became President in 1993.